Snow geese at sunrise. 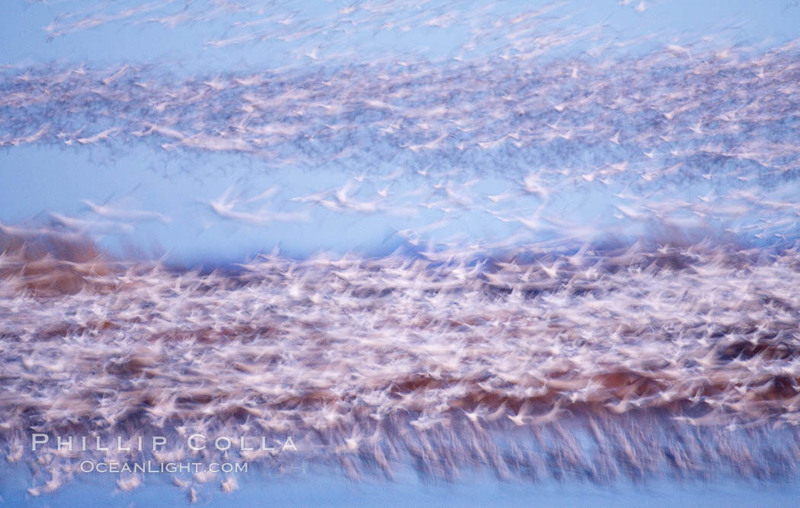 Thousands of wintering snow geese take to the sky in predawn light in Bosque del Apache’s famous “blast off”. The flock can be as large as 20,000 geese or more. Long time exposure creates blurring among the geese.